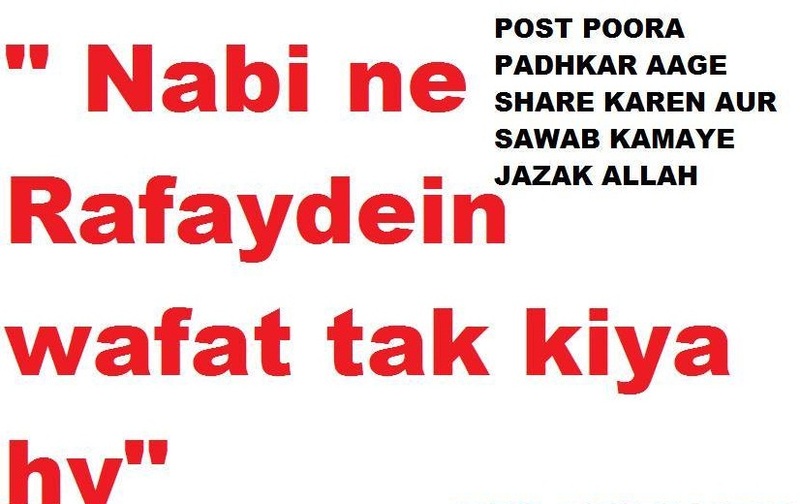 Hanafiyah ki mash’oor Hadith Tarke- Rafaydein ki jo asal me Da’eef hai, yahi nahi inke saare Dala’il is mauzu par Daeef hai…. حَدَّثَنَا هَنَّادٌ، حَدَّثَنَا وَكِيعٌ، عَنْ سُفْيَانَ، عَنْ عَاصِمِ بْنِ كُلَيْبٍ، عَنْ عَبْدِ الرَّحْمَنِ بْنِ الأَسْوَدِ، عَنْ عَلْقَمَةَ، قَالَ قَالَ عَبْدُ اللَّهِ بْنُ مَسْعُودٍ أَلاَ أُصَلِّي بِكُمْ صَلاَةَ رَسُولِ اللَّهِ صلى الله عليه وسلم فَصَلَّى فَلَمْ يَرْفَعْ يَدَيْهِ إِلاَّ فِي أَوَّلِ مَرَّةٍ . قَالَ وَفِي الْبَابِ عَنِ الْبَرَاءِ بْنِ عَازِبٍ . قَالَ أَبُو عِيسَى حَدِيثُ ابْنِ مَسْعُودٍ حَدِيثٌ حَسَنٌ . وَبِهِ يَقُولُ غَيْرُ وَاحِدٍ مِنْ أَهْلِ الْعِلْمِ مِنْ أَصْحَابِ النَّبِيِّ صلى الله عليه وسلم وَالتَّابِعِينَ . وَهُوَ قَوْلُ سُفْيَانَ الثَّوْرِيِّ وَأَهْلِ الْكُوفَةِ . This is the matter of Fiqh so one must not declare others deviant just because they are doing Rafa Yadain or not. فإن الرفع المتنازع فيه ليس من نواقض الصلاة بل يجوز أن يصلي بلا رفع، وإذا رفع كان أفضل وأحسن. The Raising (hands in prayer in places) which are disputed are not amongst the nullifiers of Salah, Rather it is permissible to pray without Raising hands in prayer, but if it is done it is preferable and good. And this is amongst the permissible difference in which there shouldn’t be any criticism on the doer and non doer of this action and this is like the (difference of) Raising Hands during Salah and Abandoning it. 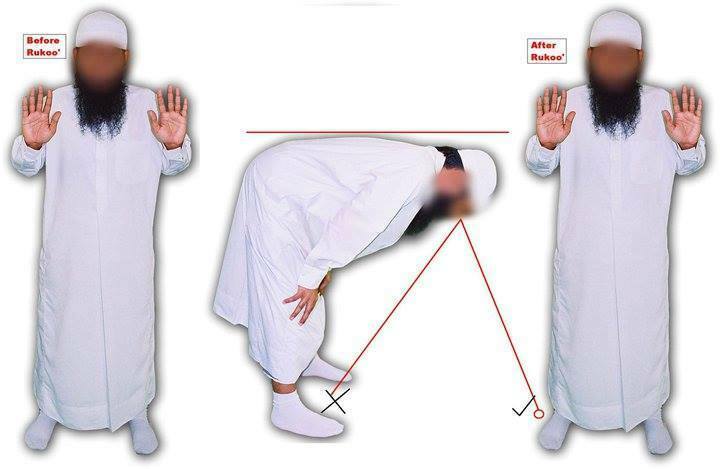 Namaz me Masla-a-Rafayaden…. Raful Yadain yaani dono hatho’n ko uthaana. Ye namaz mein 4 jagah saabit hai.